These are sure to help you around the garage and with your projects! These tech tips will come in use on so many projects! Here's a quick vid that lays it all out in layman's terms. This Day-Two Demon Was Built By A Youngster & Runs 11s! Andrew Bostrum is 23 years old, yet his sense of muscle car correctness and respect for history is unassailable in his homebuilt, 11-second Demon. FastPast started a topic Ten things to do before the dyno day! Ten things to do before the dyno day! Spending a little time preparing for that dyno session will be rewarded by not wasting time (and money) fixing obvious problems. â€œHow much power and how much torque?â€ Sure, thatâ€™s what we want to hear most so we can boast at shows, races and bench races with our buds. But behind those big power numbers are a long list of other numbers. C5rider started a topic Checking valve guide and seats yourself! Checking valve guide and seats yourself! The more you can do for yourself when tearing down or rebuilding your next engine, the less you have to spend at your local machine shop. A great introduction to powder coating at home! Powder coating is often described as tougher than paint, so we decided to see how easy it was to do at home with an inexpensive DIY'er kit. Last edited by Andy Bolig; 07-07-2016, 01:23 PM. Watch the video and then go build your own? 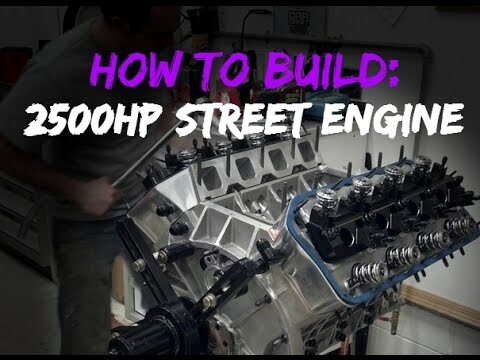 Rebuilding the motor in the 2500hp street car valiant.